Breast cancer mortality rates are higher in Ohio than almost anywhere else in the country. With our Patient Navigation Program, we are working to save lives throughout our service area by helping women and men access quality breast health care. Helping them navigate the health care system. We need your help to continue this important program and fulfill our Bold Goal to decrease the current number of breast cancer deaths by 50% in the U.S. by 2026.. Please join us in the fight against breast cancer by making a donation today. Donate! Whether you have insurance and need help understanding your benefits or connecting to a local provider, or you are uninsured and need help paying for medical care from screening through diagnostics, our navigators can assist you. Our 8 navigator networks involve many clinics, screening providers, diagnostic providers and healthcare systems. 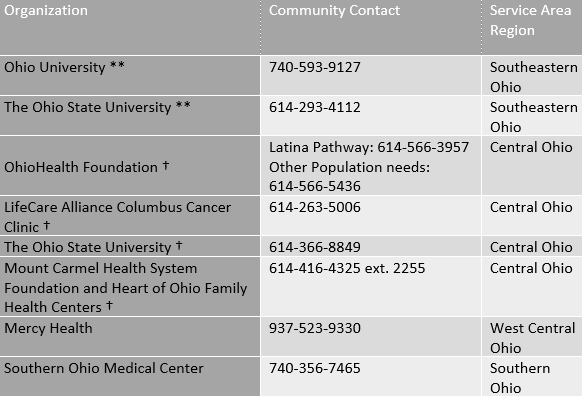 Though the navigators are your points of contact at the organizations below, financial assistance is available at most central and southeast Ohio medical providers through one of these programs. 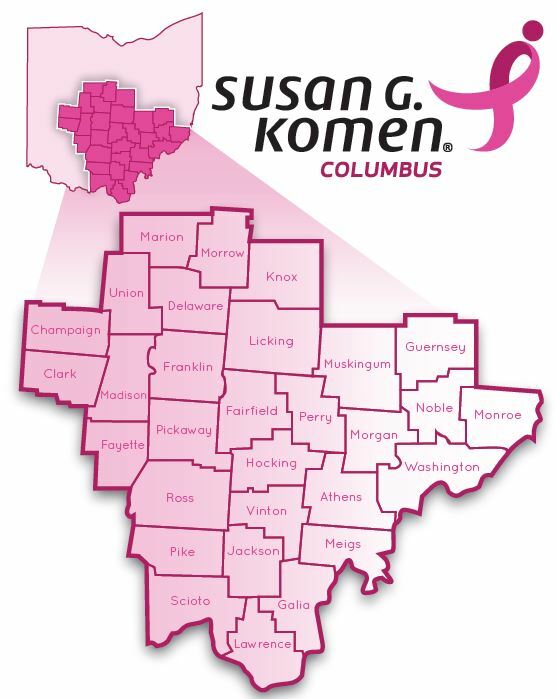 Komen Columbus holds stakeholder meetings of clinics, primary care providers and other community organizations whose clients need access to navigation to be linked to care, as well as to address quality and access to care in our service area. If you are interested in attending these meetings and being a part of our work to improve quality for all, contact juliemcmahon@komencolumbus.org.